You are here: Home » Bring Your Dog to Harrisburg Rally! October 5, 2013 | Humane PA | Comments Off on Bring Your Dog to Harrisburg Rally! In recognition of Adopt a Shelter Pet Week in Pennsylvania, Senators Rich Alloway II (R-33) and Andy Dinniman (D-19) will hold a press conference on Tuesday, October 22 to announce a package of bills to protect pets. The senators will announce the pet protection package during a press conference at 11 a.m., followed by a Bring Your Dog to Harrisburg rally on the Capitol steps at 11:30 a.m. Dog owners from across the state are invited to attend the rally with their beloved family pets to support the humane treatment of animals. The press conference will be held on the Capitol steps. 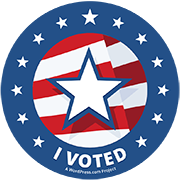 In case of inclement weather, the press conference will be held in the Capitol Media Center. 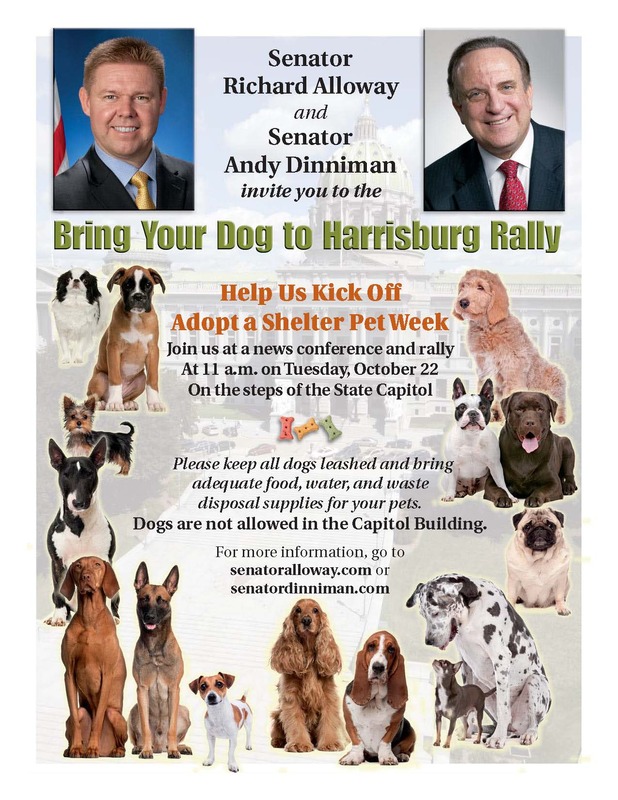 The Bring Your Dog to Harrisburg rally will be held on the Capitol steps, rain or shine. Members of the public who attend the rally should keep all dogs leashed and bring adequate food, water and waste disposal supplies for their pets. Also, participants should keep in mind that dogs are not allowed in the Capitol Building. Humane PA representatives will be attending to show their support! We hope to see you there!